The Stewardship Network, the Society for Ecological Restoration, and other groups have long encouraged building stronger relationships between the science of restoration ecology and the practice of ecological restoration. In theory, restoration researchers and land managers would work together seamlessly to solve shared ecological problems. In practice, however, manager-researcher relationships can be fraught with challenges. Funding can be insufficient or lopsided. Routine land management practices may not be compatible with rigorous study design. Resulting publications may not end up addressing land managers’ most pressing questions. In this roundtable discussion, we draw on our experience from a successful manager-researcher partnership built around a common interest in oak savanna restoration in southern Michigan. We’ll suggest strategies to work effectively across the academic-practitioner divide – and highlight potential pitfalls to avoid. We’ll also share some preliminary results of the research project, which are directly applicable to on-the-ground oak savanna restoration. 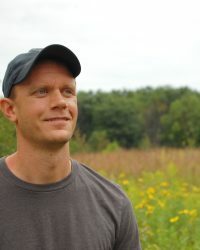 Justin is the Stewardship Director at the Land Conservancy of West Michigan (LCWM). He holds a Bachelor’s degree in Biology from Calvin College and a Master’s degree in Natural Resources and Environment from the University of Michigan. His interests include botany, community ecology, ecosystem management, and ecological monitoring. The majority of his professional experience has focused on ecosystem ecology and restoration in Michigan, but he has also worked on conservation issues in other parts of the Midwest and in East Africa. Currently, Justin is in involved in all aspects of managing the LCWM’s network of nature preserves. Priscilla is a professor of Natural Resources Management at Grand Valley State University. 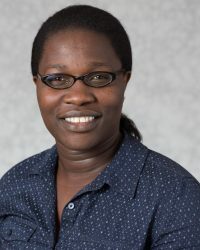 She holds a BS degree in Natural Resources Management from Egerton University (Kenya), A MS degree in Environmental Science from The University of Idaho, and a PhD in Environment and Natural Resources from The Ohio State University. Her areas of research interest include alterations in natural disturbance processes, ecosystem response to ecological restoration treatments, and post treatment recovery of ecosystems. She has conducted research in prairie ecosystems in Idaho, forest ecosystems in the UP of Michigan, and is currently conducting research in oak savannas in West Michigan.